As with all things that live at the intersection of the legal and medical professions, consent can be a bit more tricky in practice than it appears to be in textbooks. In concept, patients grant permission (an active process) in order to receive help from a doctor or a paramedic. In reality, emergency healthcare providers rarely ask for direct permission. Consent in the emergency realm is more of a passive process, meaning that emergency caregivers start doing what needs to be done and the patient allows it. Unless they don't. Just because a person gets an ambulance or walks into an emergency department does not mean he has to be treated by a healthcare professional. Even if caregivers begin to treat the patient, he can withdraw his consent for treatment at any time in the process...usually. Every entry-level textbook in the medical field has a chapter on consent. They all suggest that without consent, a caregiver cannot touch a patient. The examples can sometimes be disturbing to the budding healer. Stick a needle in someone who doesn't say it's okay? That's battery. Put someone in an ambulance and drive away with them before getting their blessing? Kidnapping. To read a medical textbook makes it sound as if there is going to be a terrible reckoning if the healthcare provider does not have the proper authorization to begin treating a patient. In theory, that's correct, but in practice, we don't ask much. Picture this: an ambulance is called for a woman at the mall complaining of chest pain. The ambulance arrives and the paramedics get out. One paramedic sets the heart monitor down at the patient's feet and begins to ask her questions like "What hurts today?" and "Do you have any trouble breathing?" The other paramedic helps the patient remove her jacket to place a blood pressure cuff. Eventually, somebody's hand is going under her blouse to attach the heart monitor wires to her bare chest. Usually, the closest thing to permission sounds like, "I'm going to put these wires on you, okay?" If the patient doesn't protest, the treatment continues. There's no reason why paramedics and emergency nurses couldn't ask permission for each thing we do on a patient unless the patient is unconscious or doesn't speak the same language, but that's called implied consent and has a different set of rules. No, caregivers could certainly obtain consent for each step of the process. We don't, however, because that's not how society works. Communication is not solely spoken. We communicate even more non-verbally. If an EMT pulls a blood pressure cuff out of her jump bag and the patient raises his arm to allow its application, that's expressing his permission non-verbally. We all understand what's happening and continue with mutual consent. If the patient does not want treatment and consent is done passively, how does that get communicated to the care provider? It's called refusing care. There's another reason that consent is passive while it takes action to refuse. In an emergency, the assumption is that care is desired. It's the entire premise behind implied consent: if the patient was able to communicate, she would most definitely ask for help. It's only supposed to kick in when communication is impossible, but it's the default position we all take. You obviously want the full treatment if you called for an ambulance, right? It's called the reasonable person standard. A reasonable person would want treatment if it significantly improved or saved that person's life. It's a legal standard and is based on what a jury thinks a reasonable person would do. In reality, there's no great reasonable person to use as a yardstick for how things should go. Unfortunately, the reasonable person standard puts all of us in a pickle, because it assumes there is a baseline, and it's a baseline we can't measure. If a person does not want to be treated, he has to say no. The problem is that default position we take, the one where we assume everyone wants to be saved. When a patient decides not to be treated, it requires a careful consideration of motives. It's a question of: why not? And that opens up a series of related questions. Why doesn't the patient want to be treated? Does the patient understand the risk of non-treatment? Is the patient competent to make medical decisions? Does the patient have the capacity to make medical decisions? Competency is a legal distinction. Any adult who is not legally precluded from making self-directed life decisions is considered competent. If you are 18 years of age or older in the United States and are not deemed incompetent by a court or as part of a specific law, you are considered competent. That means you get to make your own medical decisions. Capacity refers to the ability to make those medical decisions in the moment. 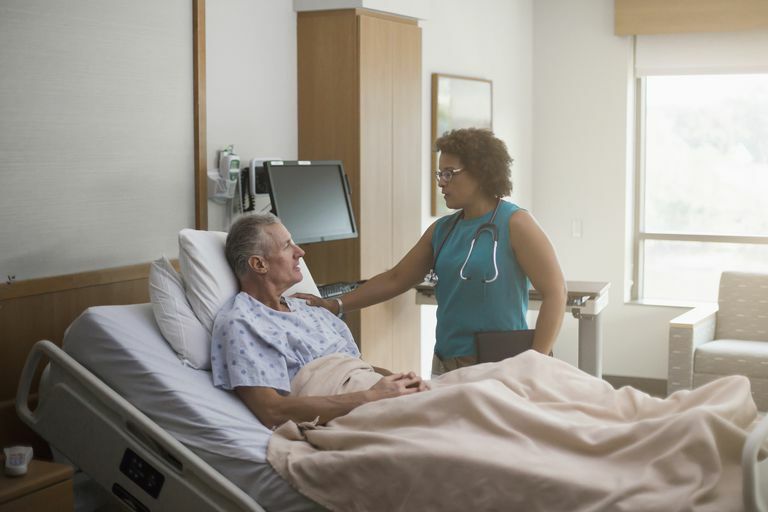 Capacity is still a bit of a legal argument, but it is intended to help caregivers assess a patient's true ability to understand and make sound decisions. The complication of the information presented makes a huge difference in stages 1 and 3. Some patients just do not have the ability to process nuanced medical information in the abbreviated timeline of an emergency. Taking the time necessary to properly understand and process the information might be more time than the patient has. The type of things that make a patient incompetent would be a court decision, usually because the person's ability to make decisions was challenged legally, or a psychiatric hold—usually for 72 hours—in which patients who are dangerous to themselves or others, or who are gravely disabled, can be placed in protective custody for their own good. A psychiatric hold might be the function of a medical or mental health professional, but the basis for it is purely legal. Most patients who refuse care are not on holds. They are the patients that paramedics and emergency docs see every day on the wide spectrum of need. Some are relatively minor cases. Low speed car collisions are a good example of the type of patient that probably doesn't need help. When a patient in that situation, even one with a mild visible injury, wants to refuse care, the index of suspicion isn't too high. The amount of capacity that patient needs for full understanding of the situation is low because the risk is low. A patient with a very minor injury who doesn't want treatment is likely not to have a negative outcome. It is the patient with a truly significant potential illness or injury that is the difficult case. In these situations, the ability of the patient to fully comprehend the situation and make an informed decision is paramount. The amount of capacity truly has to match the risk of an incorrect decision. In the case of a patient with chest pain, for example, the possibility of death from sudden cardiac arrest might not match the discomfort the patient is feeling. He might be inclined to refuse because it just doesn't feel like he's that sick.